Are you thinking about buying a down pillow but not sure which one to get? Heard about goose down and duck down and trying to figure out which one is better quality and value? We're going to save you some time in this quick article, plus we'll show you our top picks for each type. What’s the Difference between Duck and Goose Down? Thinking about investing in a down pillow but unsure what type of down you should select? Is duck or goose down better for your needs? This article will fill in the blanks on these questions for you, so you can make an informed purchase. While researching down pillows, you’ll notice that not all down is the same. Goose down tends to be more expensive and of higher quality than duck down, but this can vary depending on the product. For example, a high-end duck down pillow might be better and more expensive than a lower-end goose down pillow. Let’s start with our top goose down and top duck down pillows, then we’ll cover the differences between each type. If you decide to go with goose down for your next pillow, this set by Egyptian Bedding could be a good choice. Covered with fine 1200 thread count fabric, these pillows use hand-plucked, purified goose down. The Goose Down Pillows by Egyptian Bedding come in a pack of two and are medium-firm, which works for the widest variety of sleepers. Medium-firm pillows should comfortably support you in the back, side, or front sleeping positions. They each have 30 ounces of down and are 20 by 28 inches in size. Initially, these pillows seem very full but once you lie on them, they sink down to a comfortable level to firmly support your neck and head. Our favorite duck down pillow is the Pillowtex pillow, made with 25 percent white duck down and 75 percent white duck feather. It has a double stitched edge for durability and a 100 percent cotton cover. The Pillowtex Duck Feather and Down Pillow comes in a zippered bag, which makes it a good gift for a friend or family member. This pillow measures 20 by 36 inches and comfortably molds to your shoulders, neck, and head to support you as you rest. Some users even report that it provides better support than a memory foam pillow. The Pillowtex Duck Feather and Down Pillow is priced affordably, providing a plush feel for less, in every sleep position. When you’re looking at down products, you’ll quickly notice that not all down is categorized the same way. Both goose and duck down have a similar structure and make for comfortable pillows and comforters, although goose down is usually a bit fluffier because geese are larger and create bigger plumes. In most cases, the differences between goose and duck down aren’t significant enough to meaningfully affect the pillow. While geese are larger birds with bigger feathers, that doesn’t always mean that goose down provides more insulation, as processing can have an impact on feather quality. Both goose and duck down pillows can potentially provide a warm and comfortable sleep surface for years to come if properly cared for. Other factors, like the blankets or type of mattress you use (latex, innerspring, or memory foam), will have more impact on your sleep temperature, overall. Typically, there isn’t any major difference between duck down and goose down when it comes to durability. How durable the feathers are will depend on the oil and fat content of the birds, which varies according to feed, weather, and other conditions. In some cases, down is overwashed in the processing phase, leading to brittle, dry down and decreased fill power. 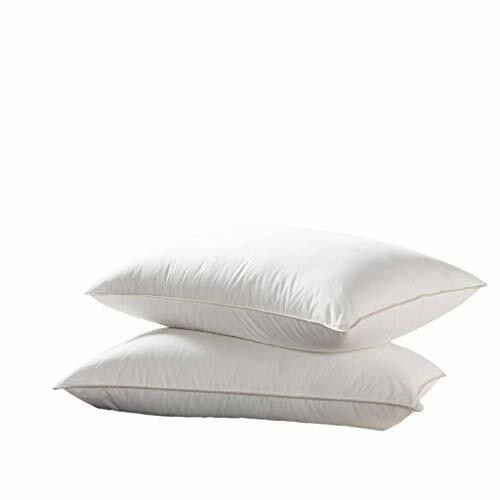 In high-quality down pillows, however, proper processing ensures durability and performance, regardless of the type of bird the down came from. Fill power refers to the fluffiness and insulating value of the down. Pillows with higher fill power can trap more air, leading to a warmer and plusher pillow. As a bird ages, its clusters of down become more developed. Whether it’s a duck or goose, older and more mature birds provide down with higher fill power. Processing down involves sorting through clusters to find the desired fill power. As this process has become more efficient, high-end duck down has also become more accessible. Duck and goose down can be white or grey. 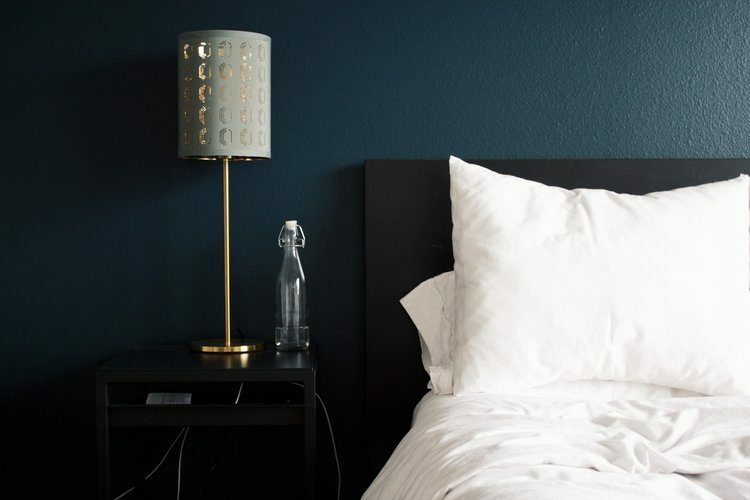 Both white and grey down are equal in terms of durability and warmth, though white down is considered more desirable since it doesn’t show through white pillowcases. Since down is a natural product, it may have a bit of a natural smell from the oil and fats that make it resilient and pliable. Ducks have lower bodies than geese, so more of their feathers come into contact with the ground. Because of this contact, duck down might have more of an odor than goose down. In most cases, though, this is a very subtle scent that isn’t noticeable. Goose down is often considered inherently better than duck down, but both duck and goose down have equally efficient insulation abilities. The ages of the birds used for the down and their feed will impact the final product. Fill power, the quality of fill used, and the processing process will all play more of a role in the nature of the down than the type of bird the down came from. 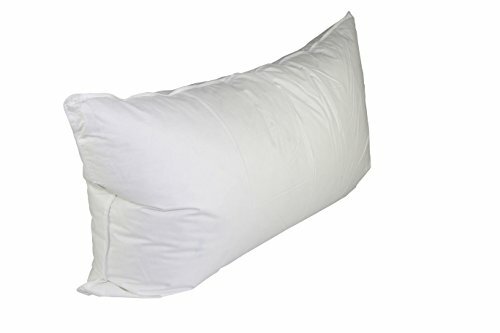 As long as you go with a reputable manufacturer with good reviews, like one of our pillows mentioned above, you should end up with a quality product, regardless of whether the down is from geese or ducks.